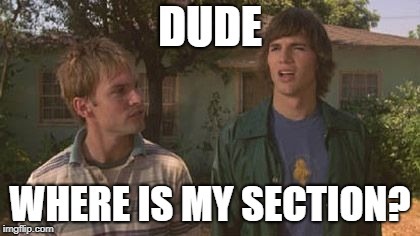 Dude, where is my section? So controls were there but something just made it invisible. After some investigation my manager Paul Way realized that “Bing Map” control is the root of this issue. It works the following way – when in “System Settings” native integration with BingMaps is turned off – Bing Maps control (if it is on the form) hides not only the control itself but the whole section it belongs to. So the solution was straight forward – either to remove the control from the form or put it to separated section, save and publish changes. After it issue disappeared and section and fields on it were visible again. Can you write a blog for migration from Dynamics CRM 2011 On-Premise to D365 Online? Believe me or not but it’s in the list of my next posts but I’m not sure when I’ll reach it. I did several migrations during this year so I definitely have knowledge to share. It would be great if you find the time to do the post about challenges you had migrating from CRM 2011, especially now when v9.0 is available on premise. I migrated one instance from 2011 onprem to 9.1 cloud 3 weeks ago. The main challenge was in conversion of reports – from T-SQL to FetchXml was the hardest part of migration. Scripts, plugins and workflows – were converted with no issues.